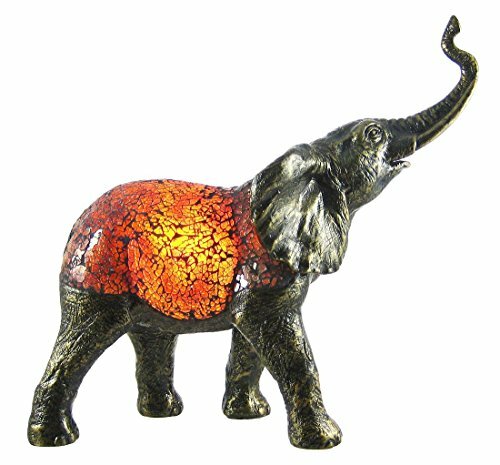 Best Elephant Decorations for an Exotic Home! I am crazy about elephants! How about decorating your home with the coolest elephant themed stuff ever? You won’t believe the awesome elephant decorations for home being displayed here! I still can’t believe them! 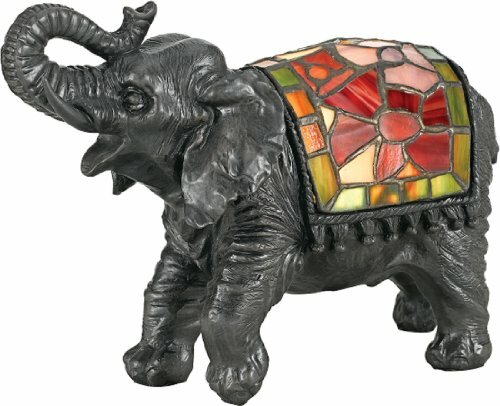 From elephant tables to elephant stools, elephant lamps, statues and wall hangings! 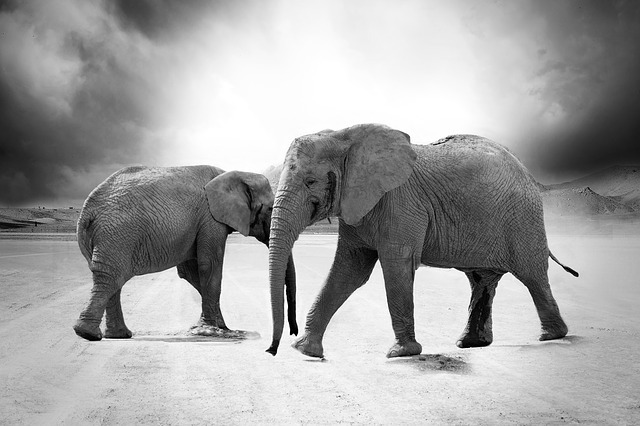 Bring the majesty of the elephants right into your living-room! I hope you enjoy my selections and have fun choosing elephants! 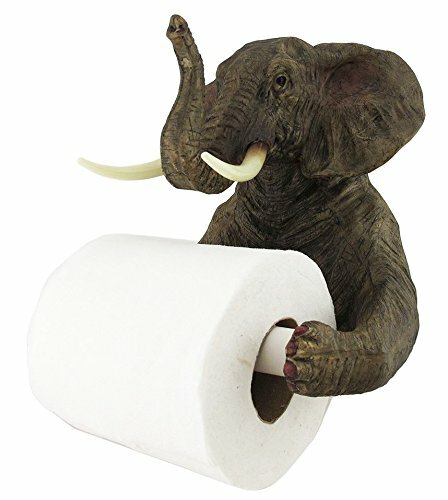 Best Elephant Decor for Home! I am going to start my elephant decorations selections with my favorite piece! 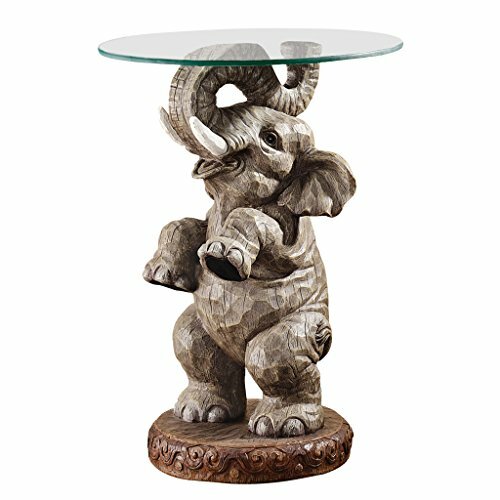 This cute elephants coffee table with glass top! There are two highly-detailed and very real-looking elephants at the base! I still can’t believe how real they look! Believe it or not this is an affordable piece! *Gorgeous Elephant Decorations for the Living-Room! 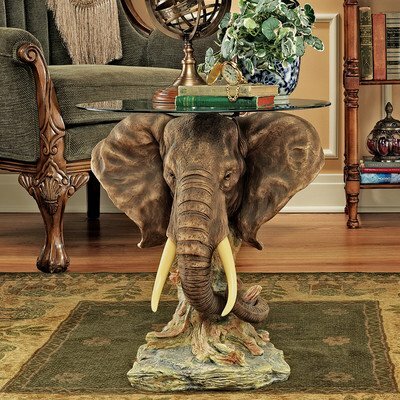 How gorgeous and realistic is this elephant head glass-topped table fellow elephant lovers? It is also beautifully detailed and very affordable! Perfect to create a fun ‘safari’ atmosphere right in your living-room! 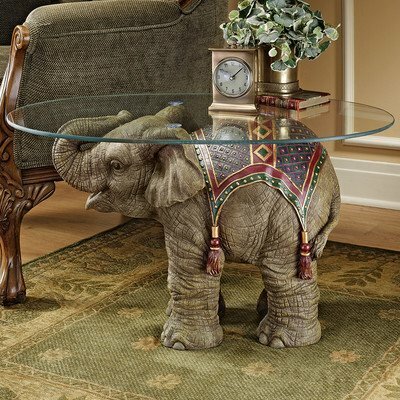 *How Cute is this Baby Elephant Coffee Table? This is another favorite elephant home decor piece of mine! 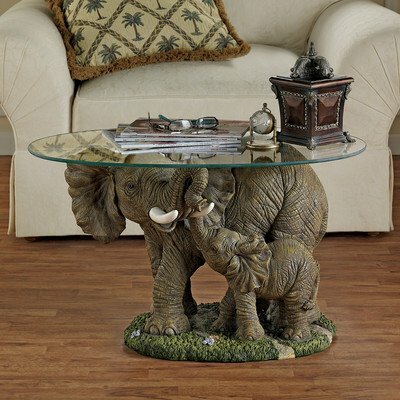 It’s a cute baby elephant coffee table! They are all so cute and so perfect! This cute coffee table is also very affordable! 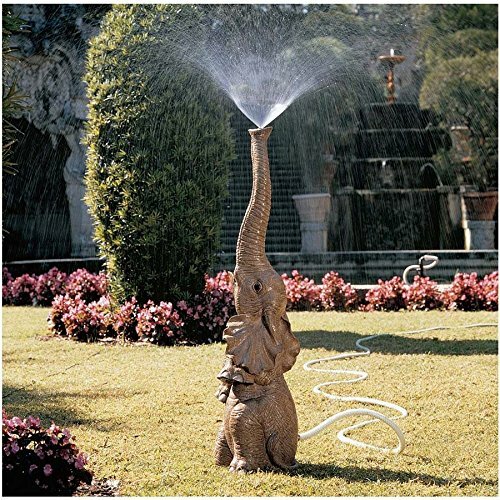 Let the summer fun begin with this adorable elephant sprinkler for the garden! Just imagine all the fun the kids are gonna have while getting wet running around this cute baby elephant! He is a little over 3 feet tall and will definitely stand out in your garden! One of a Kind Elephant Hamper! If you are looking for some cool elephant-shaped home decor items, then I think you are going to be very pleased with this piece! 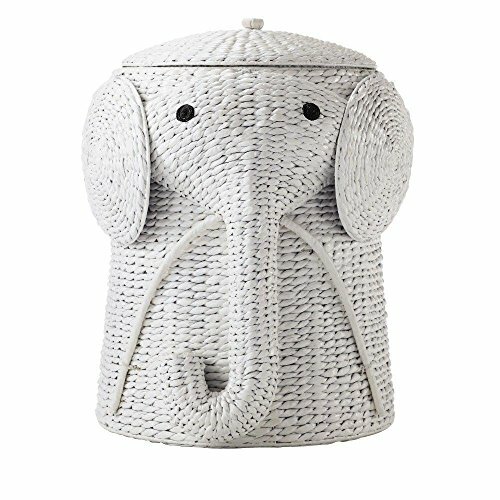 It is a very unique elephant shape wicker hamper for sale! I went crazy when I saw this! How’s that for a fun elephant gift to someone who loves to wash their clothes all the time? How absolutely ‘elephant amazing’ is it?? Can you think of a more fun elephant housewarming gift idea for any elephant lovers? 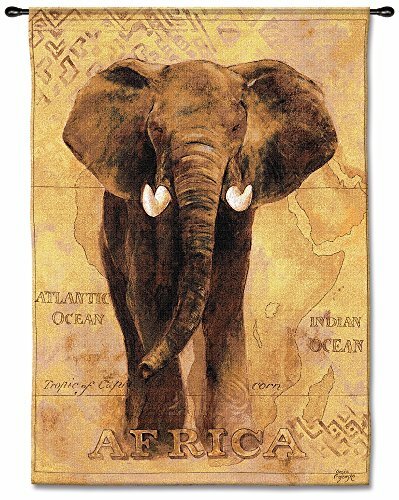 Another great way to add some elephant decor to your home is by getting a beautiful elephant wall tapestry to hang in any room in the house! How gorgeous and unique is this one? Will look amazing in your living room or bedroom! Here is one of my favorite elephant decorations being sold! 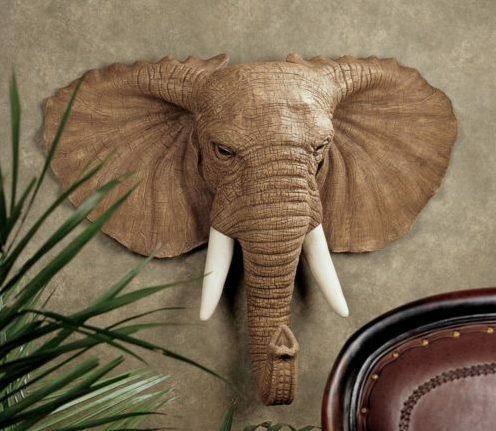 How exotic is this African elephant wall sculpture for sale? 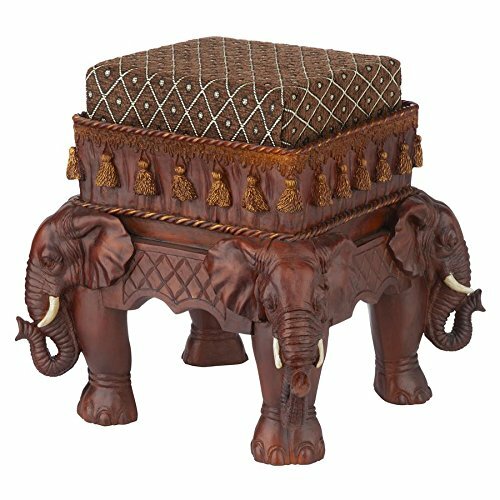 How cool is this carved elephants design foot stool for sale? The perfect piece to complement your elephant decor! 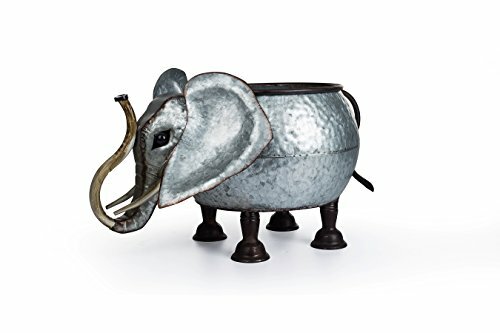 What a beautiful, fun and very unique metal elephant shaped elephant for your garden! It will make an awesome gift idea for any elephant lovers who also love plants! This is also such a beautiful and very unique elephant piece to have in your living room or bedroom! It’s a fun elephant-shaped side table lamp with a gorgeous flower pattern design. It gives a nice soft glow. 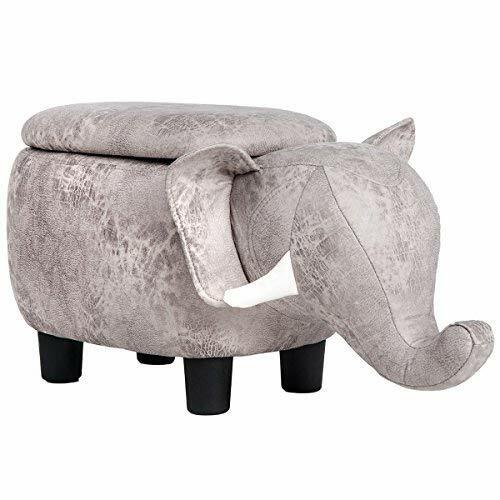 How cute and adorable is this standing baby elephant end table for sale? What a fun piece to have next to your couch or recliner! He is a happy fellow too! *What a fun elephant shaped accent lamp! How about a fun elephant lamp? Is that a fun elephant decor gift idea or what? Hi Lenora, thanks for visiting! To order something you like, just click on the picture! Thank you!